It really is so simple! Just go to the 'Get Started' button on the top right hand corner of the home page of www.shethrives.org and you will be guided through a simple registration process. How much time will it take me each week? Each week may vary slightly, but you’ll have between 30-60 mins of webinars to watch each week, plus your allocated Discovery tools to complete. In total, you’ll ideally allocated at least 2 hours each week to your She Thrives program. What if I need to take a break part way through? Whilst maintaining the weekly momentum of the program enables you to complete your program the most efficiently, we really understand that sometimes life requires you to take time out. You can pause your She Thrives program at any time and pick up where you left off once you’re ready. Can I watch the webinars on my mobile? Yes absolutely, our webinars are designed to be viewed on any device (computer, tablet or phone), so that you can do so at a time and place that fits into your busy week. The cost of each program varies, depending on the duration and the nature of the program. The program cost is set as a mere fraction of what you would pay for a one-on-one coaching session, whilst delivering benefits and value far beyond that of a standard coaching session. Our aim is to ensure the small investment in yourself is achievable and we are so confident that the returns will make it absolutely worthwhile that we offer a money back guarantee if you are not 100% satisfied. The Career Clarity program starts in a ‘Wave’ on a particular date, so check out the website to see the next kick off date. The other programs are available at any time so you don’t need to wait. For all programs, the weekly webinars will be released each week, so that you can move through the program at an appropriate pace. We absolutely recommend embarking on this journey with a friend or colleague – the support you will give each other will ensure you get the most out of the program and stay on track! It is however not possible to share a registration, so you will need to sign up individually, but we do offer a friends referral discount, so please email us at team@shethrives.org if you are interested in signing up with a friend. A lot of blood, sweat and tears has gone into producing the programs, so sharing a registration is unfortunately strictly prohibited and is tracked via your IP address. I don’t live in Australia but am really interested - can I complete the program overseas? Yes you sure can. She Thrives programs are designed to hold relevance to women all over the world and can be accessed from any location where you have internet connection. I would like to receive some face to face coaching, is this possible?  The She Thrives programs are based on coaching methodology and behavioural science theories and have been designed to provide similar results to a personal coaching program, yet with the convenience of being able to access it at a time/place that suits you and at a more affordable cost. Should you wish to have some face to face coaching whilst you complete your online program, we have a team of highly qualified coaches who are happy to support you. Please get in touch with us at team@shethrives.org and we can match you with a coach that suits your needs and personality.